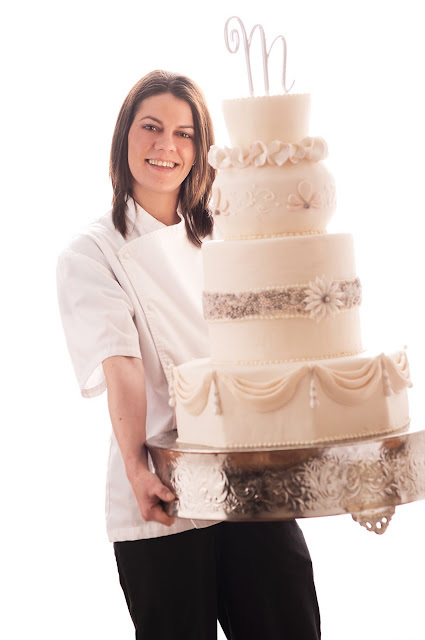 What made you want to go into the profession of becoming a pastry chef? Honestly, I kind of fell into it. I was 20 years old, out of work and just bought a car. I needed a job. It was only supposed to be temporary until I could find a good office job that paid well, but I wound up loving it and haven’t left the kitchen since. Did you start baking at a young age? Yes, probably around 9 years old or so, but my twin and I made easy things like cookies and box mix brownies. Tell us a little bit about your training. I’ve been in the kitchen for 12 years now, graduated from Kendall College in 2007. I’ve been with the Marriott for 7 years now, starting at the Michigan Ave. property downtown, moved on from there to open the JW Marriott Chicago, and then to open the Chicago Marriott Naperville, where I currently work as the pastry chef. What is the most complex piece you've created? 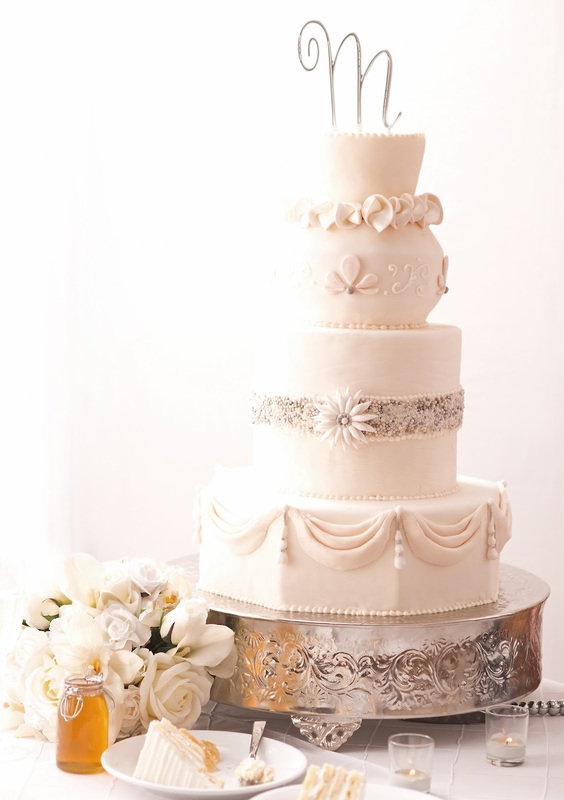 A five-tier pillow shaped wedding cake. A lot of time goes into the building, carving and decorating of such an elaborate cake. Do you do much baking at home? When I can. If I do, it’s usually on my days off. I also enjoy making special occasion cakes at home for family and friends. What is your favorite sweet treat? I love cookies, seems so simple, but still a classic favorite of mine. Do you find your work to be a good creative outlet? Absolutely! 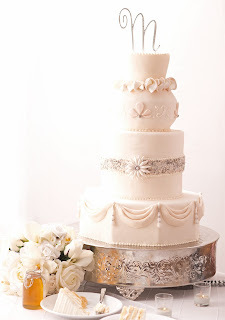 Especially when it comes to wedding cakes and working through a customized design with the bride and groom. Are there some baking ingredients that you'd recommend that make a definite difference in the end result? Salt, most people don’t think of salt in baking and pastry, but it truly is a flavor enhancer and helps balance the sweetness. A unique feature of Artisan Table is the rooftop beehives. 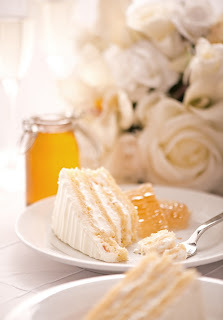 What are some ways that you incorporate the fresh honey into the menu? I make a fabulous honey shortbread that is part of our daily $9 lunch menu at the Artisan Table. Other items I have made with the honey include, honey white chocolate truffles, honey caramel, honey ice cream and our signature honey cinnamon scones. What are some tips you can offer to help people bake like the pros at home? Follow the recipe and be patient. I also like to measure out all my ingredients first, and then follow the mixing instructions. What's one kitchen utensil you couldn't live without? My offset spatula. It’s great for spreading, and it’s my favorite tool for icing a cake. What's your favorite dessert on the menu at Artisan Table? I love the Farmstand Lemon Doughnuts with blackberry sauce. It’s just reminds me of being at the farmers market. **I just have to add that I have tried the honey shortbread mentioned above and WOW!!! Be sure and give it a try if you stop there for lunch! It. Is. Amazing.